Press trips have been around since PR began and while many aspects of traditional PR are being updated for the digital era or eradicated altogether, we look at whether the humble press trip is still a worthwhile form of media relations. One of our specialist sectors is the food and drink industry, which means several of our clients have factories, production facilities or warehouses in which the majority, if not all of their activity takes place. When launching a new client, products or news for a client, it’s key for us as storytellers to offer their story to the media in the most engaging and informative way possible. Yes, press trips can be time consuming for all involved and can end up costly, but if used for the right reasons they can pay for themselves in the long run. Recently, we ran a media day for Fowler Welch after it opened a new 50,000 sq foot extension to its Teynham site. We invited four journalists from key food and drink titles, The Grocer, Food Manufacture, Food & Drink Technology and Fresh Produce Journal. The day consisted of a talk from CEO Nick Hay and a tour of the facility from site operations manager, who both kindly took time out of their busy schedules to be part of the day. So what did this offer the client and the media that can’t be found in a press release? Well, firstly, personality. Nick is an incredibly personable man who is passionate and knowledgeable about his business. So offering the journalists a face-to-face meeting with him gave the Fowler Welch brand a face as well as personality to add to the facts presented. For the client, it offered control. At the moment, across the industry there are several key issues at play that are in the media daily, including Brexit and food waste, among others. Fowler Welch has been asked to comment on these topics and will most likely continue to be, so Nick took this face-to-face opportunity to answer the questions before they were asked. This way he could take the journalists through his views and the company’s position on several topics in a way that gave him the control not always available in a press release or feature submission. Detail and depth. 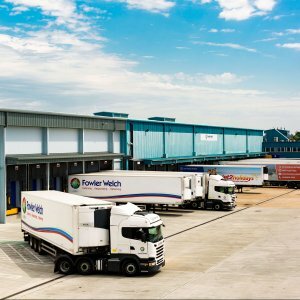 The original story was the extension of the Teynham site which is Fowler Welch’s joint venture with packing provider ISS. However, having the journalists on-site created an opportunity to go through a selection of topics including Teynham, Fowler Welch, company ethos, company development, Brexit, food waste, as well as the firm’s partnership with charity FareShare. The dedicated time meant the journalists could ask direct questions and go into further detail than usually expected, giving them a richer standard of content and insight to take back to their editors. Hands on. The second part of the day was a tour of the new warehouse so the journalists were able to get a real feel for the size and scale of the operation and see some well-known brands being picked and packed ready for distribution. They were also able to ask questions to the site manager who runs the operation daily and was best placed to talk them through how and why they carry out each process. Not forgetting us. The client got an awful lot out of the day in terms of potential press coverage, but so did we. Managing the day from start to finish and meeting the contacts we work with day-in-day-out is priceless. It may sound cliché, but relationship building is key to getting the best results for our clients, so having dedicated time with the journalists is of real value. At the end of the day the journalists left having had a hands on experience, in-depth conversation with the company’s CEO and other members of the operation as well as the chance to ask any extra questions and find out specific details they wouldn’t necessarily have access to through standard press materials. Yes, press trips might sound behind the times and with budgets tightening can only be arranged sparingly. However, only a week later, the day has generated five online stories and four print stories dedicated to Fowler Welch’s current or upcoming developments, as well as Nick’s views on the current climate. So, when used in the right place and when timely, press trips can bring a huge return on investment for both client and journalist.